Apart from the usual protocols the only rules at the fishery are single fly, no lures, no snakes and definitely no boobies. Wading is not necessary or allowed. From a safety perspective we ask our visitors to not go out onto the Monks – we’ll explain when you get here! We don’t mind whether you use floating, intermediate or sinking lines. The ideal rod is somewhere between light river gear and Reservoir tackle – the regulars tend to use 6-7 weight rod and line. We encourage our visitors to move between the lakes regularly as sometimes a lake can go quiet for a while and you are better trying your luck at the next one and coming back for that trophy fish later. 1 Choose fishing ticket from price list. Do not start fishing without completing a ticket and paying. Catch & Release Follow on must be added at start of your session. Please read C&R rules separately listed. 2 Complete fishing ticket with all information including date and contact number. Sign fishing ticket. Again do not start fishing without completing a ticket and paying. 3 Leave fishing ticket on the counter. This is also your fish return which must be completed before you leave. 4 Please put your payment (cash or cheque payable to “Bellbrook”) in the black box on the wall. If we owe you change please make note of this on your fishing ticket and we will catch up with you during the course of your stay. 5 All natural Browns must go back in all lakes. Catch and Release is only permitted on Bodmin Lake when that option has been added – see separate C&R rules. 6 See map outside of lodge for names of and locations of Specimen v Normal lakes. 7 If you still are not sure what to do please ring 07967 335159. Please DO NOT "wander" down to the house under any circumstances - we have a young baby and you will set the dogs off which will not be appreciated! If you can’t reach us on the phone please either wait patiently or contact us another day. 8 You are permitted 1 spectator who is not fishing - they must respect other anglers and not get in their way. Children (under 16) are allowed by prior arrangement but only 1 per fishing Adult and they must remain with you at all times whether fishing or not. 9 We allow you to bring your dog but they must be kept on a lead and out of the water. 10. Make sure you complete your fishing ticket at the end of your visit by filling in your return (even if it’s NIL). We need to know this information for future stocking. 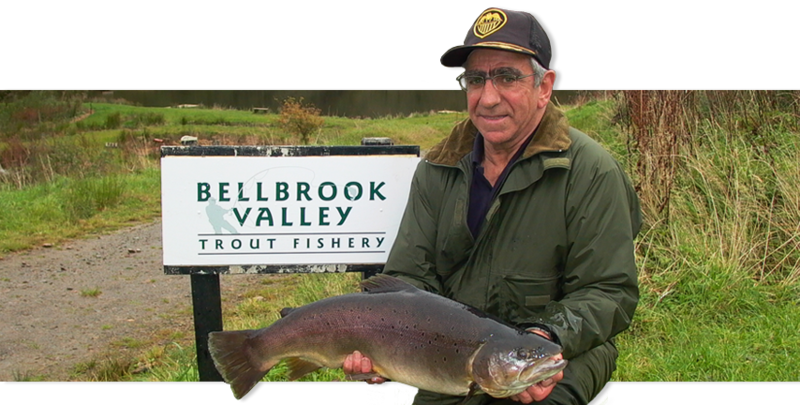 1 We have recently added a Catch and Release option on Bodmin Lake only. Anyone seen releasing Rainbows on any other lake will be asked to leave with no refund. It is your responsibility to know which lake you are fishing. 2 You may either elect to fish a C&R day ticket OR C&R Follow on. In either case state which on your ticket before you start fishing. The C&R Follow on is not available once you have started fishing. 3 The C&R day ticket allows you to take up to 2 fish. No fish are to be taken on the C&R follow on. 4 C&R Follow on is not available once you have completed another ticket but needs to be purchased in advance. 5 Fish being released must not be removed from the water – they must be released from within your net WHILE IN THE WATER. If you do not think you can do this you should not take this option. 6 You must use a barbless hook. If you do not know how to remove the barb please ask.